Heather Bresch ladies and gentlemen! Bresch...and the MBA program of her fantasies. Earlier this week, we were introduced to Mylan CEO Heather Bresch, by way of her decision to increase the price of the life-saving EpiPen from approximately $100 in 2009 to $600 today (while increasing her compensation from $2,453,456 to $18,931,068 between 2007 and 2015). As you can imagine, people are pretty outraged, and those people probably include her father, Joe Manchin, a Democratic senator not named Rockefeller from West Virginia. Amazingly, or perhaps totally predictably, this is not the first time Bresch has been involved in a controversy in which she comes off as a total a$$hole. 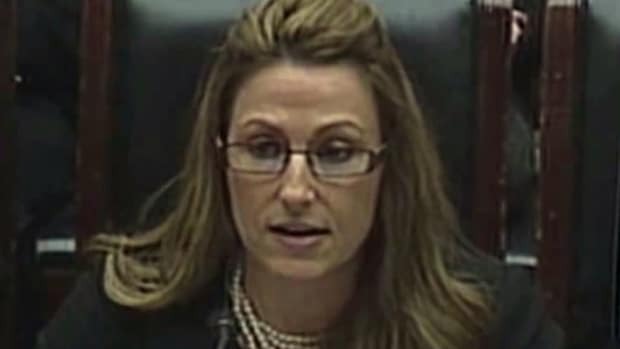 In 2007, the press release announcing Bresch&apos;s ascension to CEO noted she "earned an MBA and an undergraduate degree in international studies and political science from West Virginia University." By December, however, the Pittsburgh Post-Gazette reported that West Virginia University awarded Bresch the MBA only after rewriting documents that originally showed she completed approximately half the credits necessary for the degree. 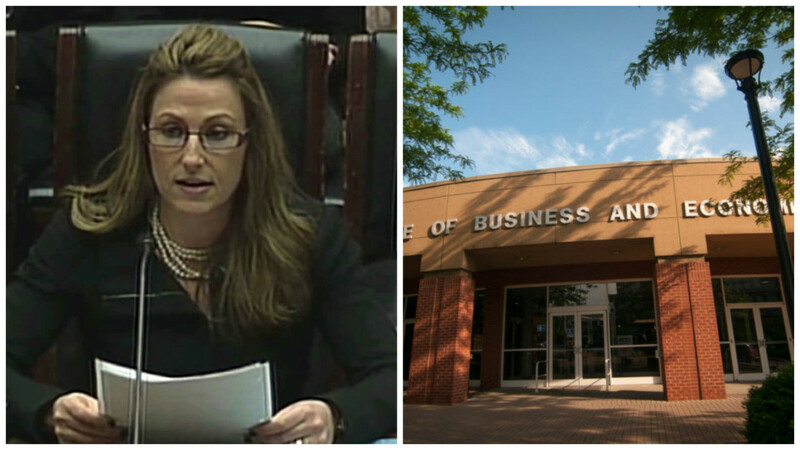 Initially, WVU told the Post-Gazette that Bresch did not have an MBA but several days later, insisted she earned one in 1998 and blamed the discrepancy on poor record-keeping and later, an unpaid fee. Throughout the Post-Gazette&apos;s inquiry, the university and Bresch maintained she earned her MBA at the university, while professors, classmates, and even friends of Bresch, cast doubt. Some feared for their jobs after speaking out...Soon after the accusations, the university commissioned a special panel to look into Bresch&apos;s degree. The panel&apos;s report, released in 2008, found that "Ms. Bresch did not earn an MBA at West Virginia University." While the panel called the decision "seriously flawed" and "reflect[ing] poor judgment," the members did not think it revealed flaws in WVU&apos;s record-keeping, as the university initially claimed. The panel also found the university knew these excuses were false. Lastly, the panel revealed the primary reason the university gave Bresch the MBA: a conversation she had with Craig Walker, the president&apos;s chief of staff, after the registrar provided a statement to the Post-Gazette that Bresch hadn&apos;t, in fact, earned her degree. After word spread that WVU administrators had erroneously awarded a degree to the governor&apos;s daughter that she hadn&apos;t earned, Garrison, provost Gerald Lang, and business school dean R. Stephen Sears all resigned. When a fact-checker from the Pittsburgh Post-Gazette called WVU about biographical detail, the university was all "Um, no, she doesn&apos;t have an MBA"
WVU kept being all "No, really, she&apos;s got an MBA"
The Pittsburgh Post-Gazette was like, "You sure about that?" Was like, "Just kidding, she doesn&apos;t have one"
And while there are a ton of great moments in this saga making it difficult to pick a favorite, we&apos;re going to have to go with the fact that as of 2015, Bresch was still telling reporters, on the record, "I certainly to this day believe I did everything I needed to do to get my degree."